If you think you get the sudden urge to go more often when it's cold you'd be right! Believe it or not, that honest-to-goodness I have to go now sensation you feel when a gust of wind blows (still talking weather here!) is real and it's part of your body's process to keep you warm... yup, you heard me right! It fascinated me to learn that the uncertain coincidence to need a wee in colder temperatures actually has a name: Cold Diuresis. 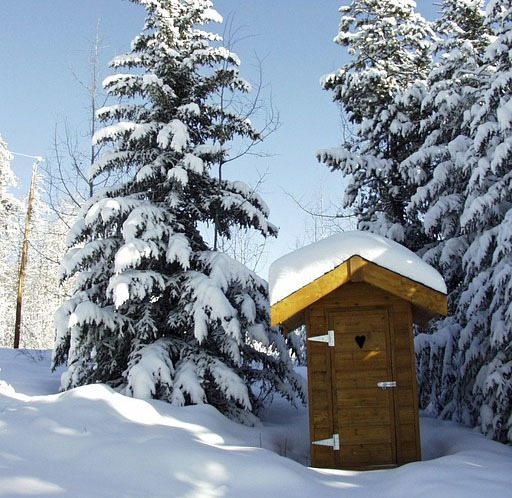 It's not entirely clear why this happens and of course, it may not always be connected to the medically-named Cold Diuresis but here are a few scenarios that may explain why you need to pee more during Winter... which can you relate to? With winter comes wooly jumpers comes the perfect way to hide the impact of comfort food on your body. Goodbye salads - Hello double-helpings of buttery mash with your Sunday Dinner! So no-one can see the muffin-top going on under that baggy cashmere but there is a strong tell-tale sign when you're carrying a few more pounds than your body is used to... The additional weight is ultimately supported by your pelvic floor and if you busy these muscles supporting that extra biscuit you had during your coffee break, they have little strength left to support you bladder resulting in you needing to empty it more often... or wishing you had! How to strengthen your pelvic floor muscles > So tell us, why do you think you really have to go a lot more in Winter?